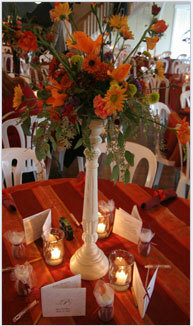 The mission of "From the Heart Floral Design" is to create floral arrangements that uniquely reflect our client's vision for their special events. Prior to launching From the Heart Floral, owner Linda Scariano compiled years of on the job work experience along with numerous classes in the art of floral design. In addition to working a t many retail shops, Linda has been a volunteer florist at Oregon Gardens and has worked on the floats for two of the Rose Festival Parades. She continues to donate her time and creativity with several local charity events. Whether you are planning a wedding, sending your warmest regard with a sympathy arrangement or hoping to express your thanks with a truly unique gift basket...each and every arrangement is delicately assembled with your inspiration and From the Heart's floral expertise. 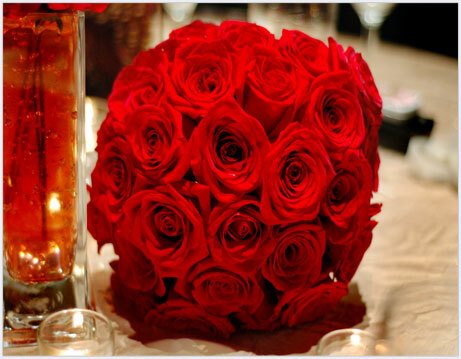 With years of experience decorating for corporate events, receptions, reunions, funerals and more...From the Heart combines a touch of elegance with a look of sophistication in each unique design that is truly inspired From the Heart.